From prisons to pot, towns in California are changing their revenue streams and utilising facilities already available to them. Like an abandoned prison. It’s official. One California town is turning an abandoned prison into a grow facility for cannabis. The Coalinga City Council voted last Thursday to open up cultivation in the area. The turn from incarceration to cultivation will save the town, and its people, in one fell swoop. Two measures went before the Council for a vote, both of which passed. The first allows compliant cannabis cultivation within city limits, effective immediately. Patients and cannabis enthusiasts around the area are surely rejoicing and planting seeds as we speak. The second measure approved the proposal to sell the city’s abandoned prison to Ocean Grow Extracts. The company makes medical grade cannabis oil products. You might consider this a record for cannabis. The deal for 4.1 million dollars effectively saved a city of almost 17,000 people in one stroke of the pen. Hemmoraging under $3.3 to $3.8 million dollars of debt, according to City Manager Marissa Trejo, Coalinga was spiraling further and further into recession. Now, the city is back in the black, and can grow and prosper. In addition, over a 100 jobs will be created for the local population at the grow facility, with more to come as the business grows. And as the city looks to expand legalization of cannabis businesses and delivery services in the area, the job market will only continue to expand. How must it feel to see their town go from putting people behind bars for using and selling cannabis to growing it on those very grounds? The city felt contention from both sides during the discussion on the matter, but ultimately the financial windfall and jobs won out. Now they are taking a cautious approach, trying to appease as many constituents as possible. At its height, the Claremont Custody Center housed over 500 state inmates. In 2011, the California Department of Corrections decided against renewing their contract at the 77,000 sq ft facility. The prison makes for an ideal commercial cultivation location. It comes equipped with several layers of security, including razor wire fences, video surveillance, and security checkpoints. When the prison was active, it employed some 100 locals. Since its doors closed, the city residents have felt the pinch. Upkeep of the unused grounds and unemployment payments to former workers have cost the city millions. Ocean Grow Extracts facility promises to give the town more jobs than the oilfield that keeps the town alive. Even Chief of Police Michael Salvador is on board with the decision. My mission is to keep the citizens safe, and I believe I can do that if the council moves forward with Ocean Grown. We’re thrilled to be able to offer 100 jobs and make safe medicine available for patients. We appreciate Coalinga taking a chance not only on us, but on the industry. Already, OGE received over 200 job applications. Fellow owner Kelly Dalton, Casey’s brother, says the assent of the city speaks volumes to the medical value of cannabis. The truth of the plant is our best evidence. Coalinga joins another California town, Adelanto, in going from prison profit to pot profit. Is Coalinga on the right path? 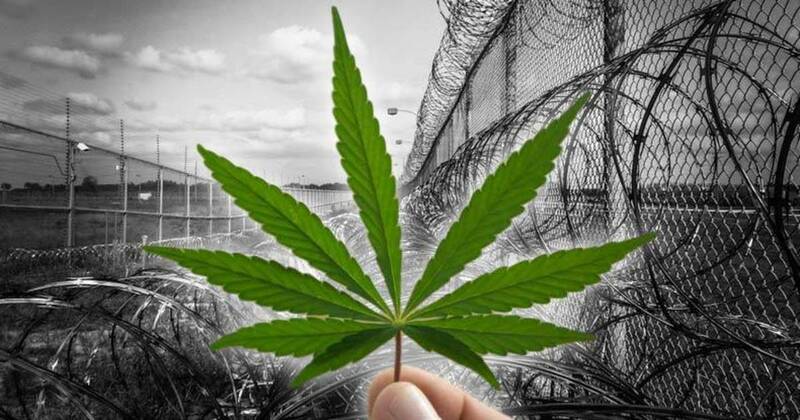 How many other prisons should we close to grow cannabis? Tell us on social media or in the comments below.